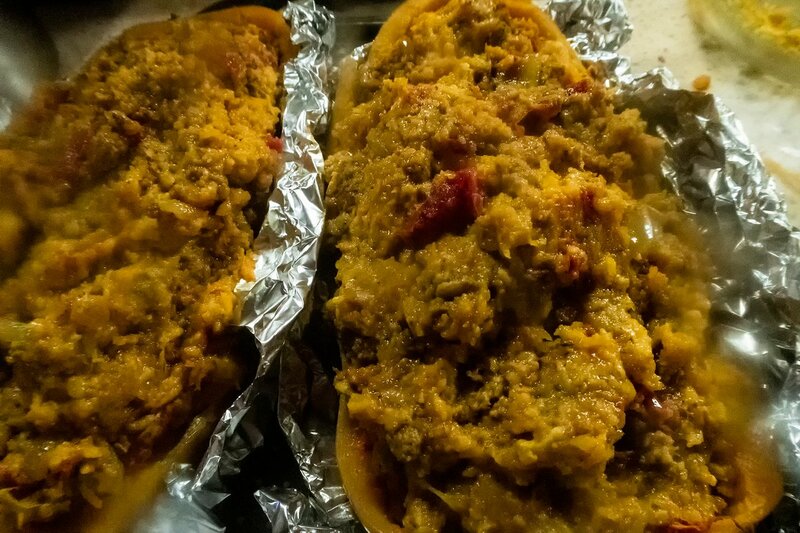 Stuffed squash is one of my faves! 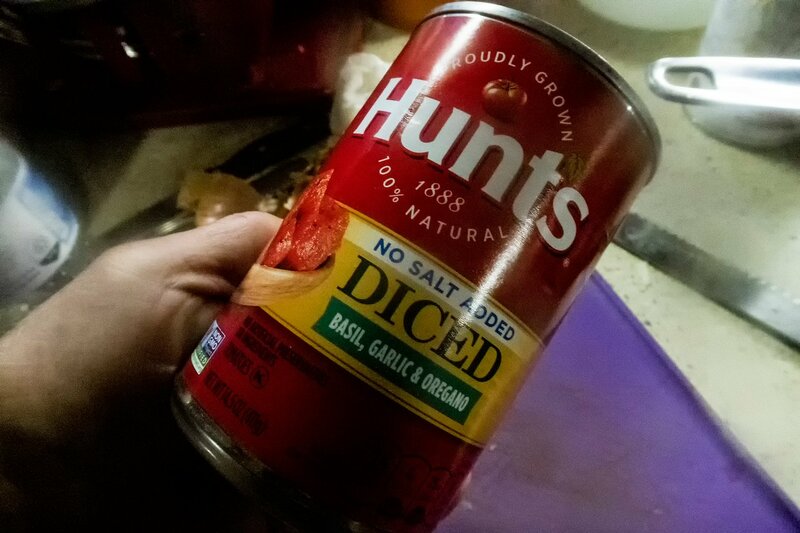 It's fairly easy to prepare, although it does take a bit of time to cook. This is what I made for dinner last night. 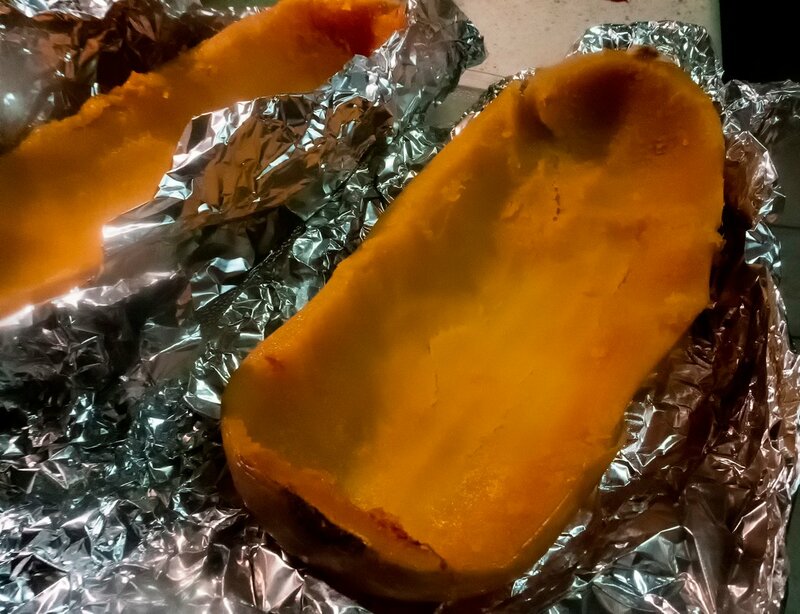 I started out with a medium sized butternut squash, which I cut in half lengthwise and removed the seeds. 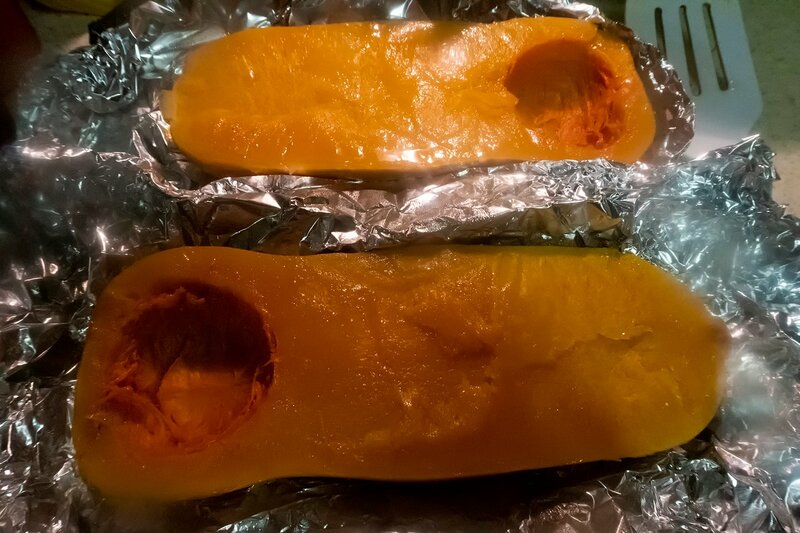 I then wrapped each half in aluminum foil with about a tablespoon of water and baked them for 45 minutes at 375F. 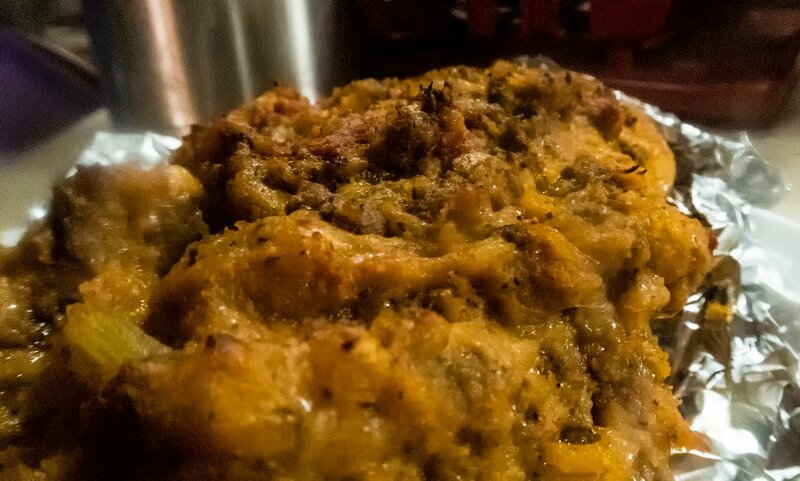 Meanwhile, I put together the stuffing. 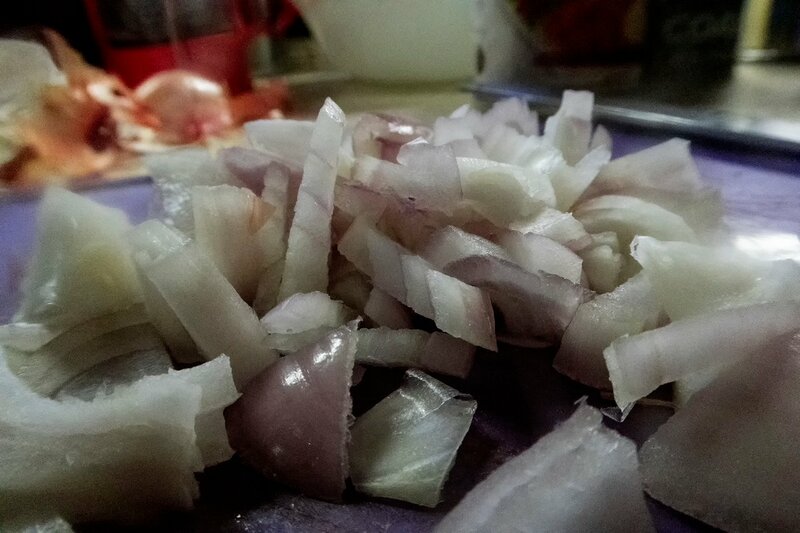 I minced the shallot and added it to the skillet. 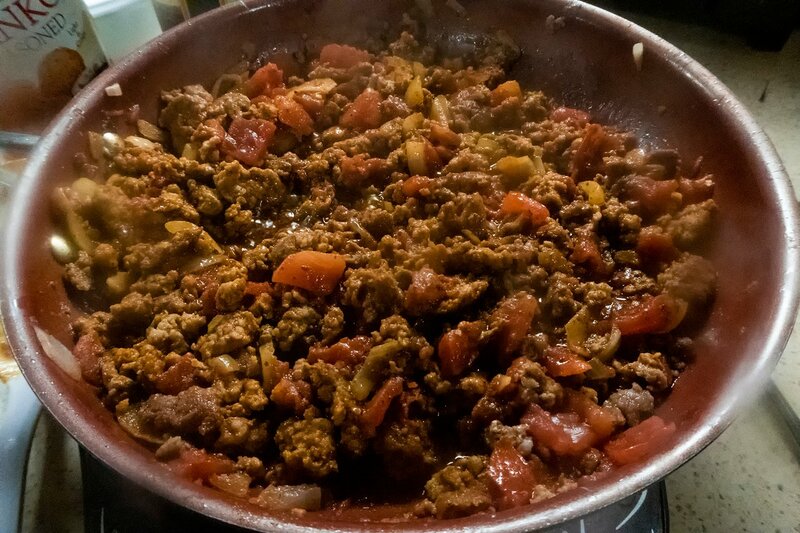 Once the meat was browned and the shallot was transparent, I added the tomatoes. I added the spices and let everything simmer for awhile. 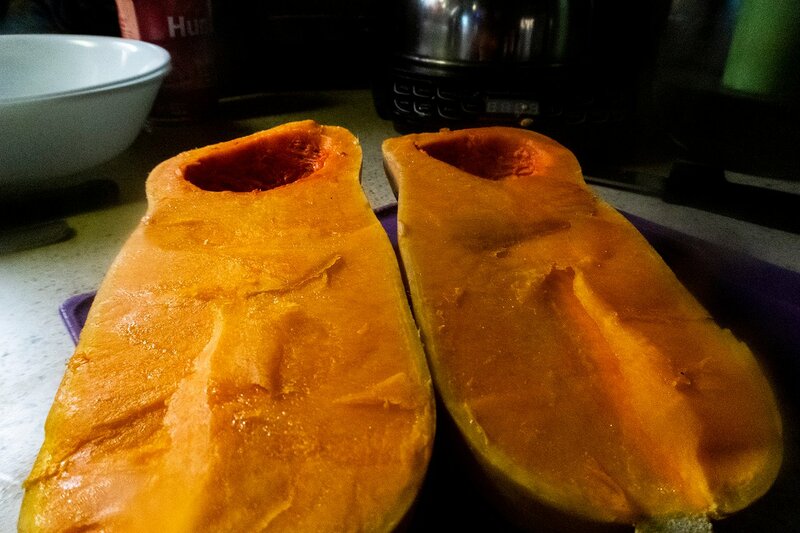 When the squash was done. 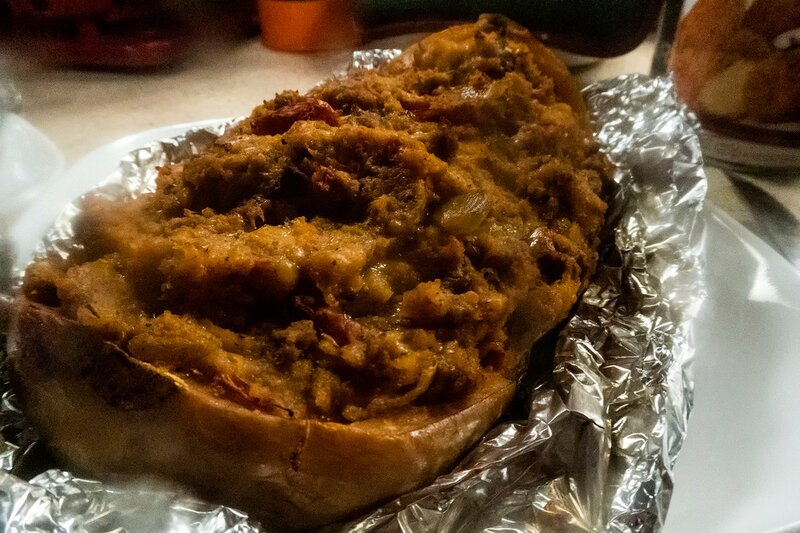 I removed it from the oven and let it cool down a bit. 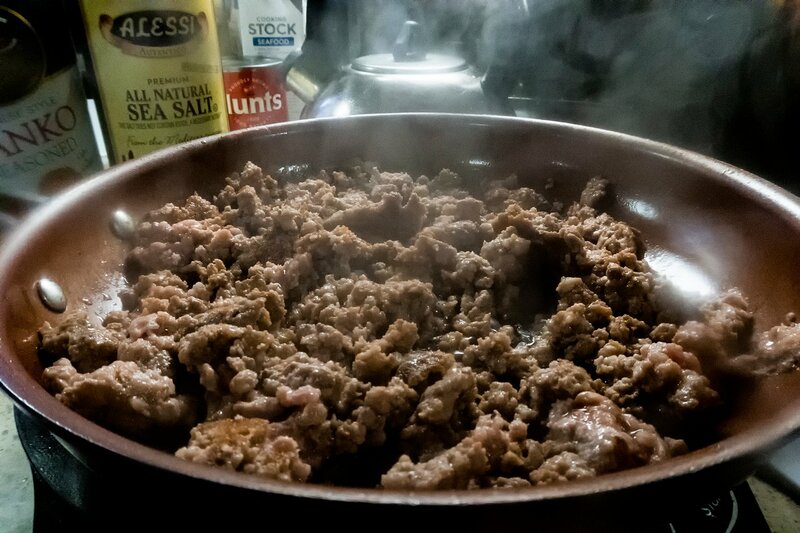 I transferred the meat into a large mixing bowl then added the panko and cheese. 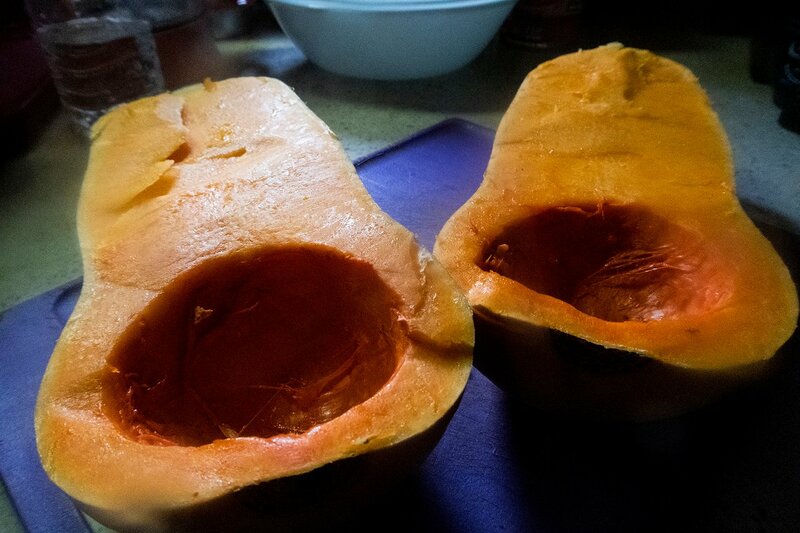 When the squash cooled down I scooped out the flesh and added it to the mixing bowl. Taking care not to tear the squash skin. 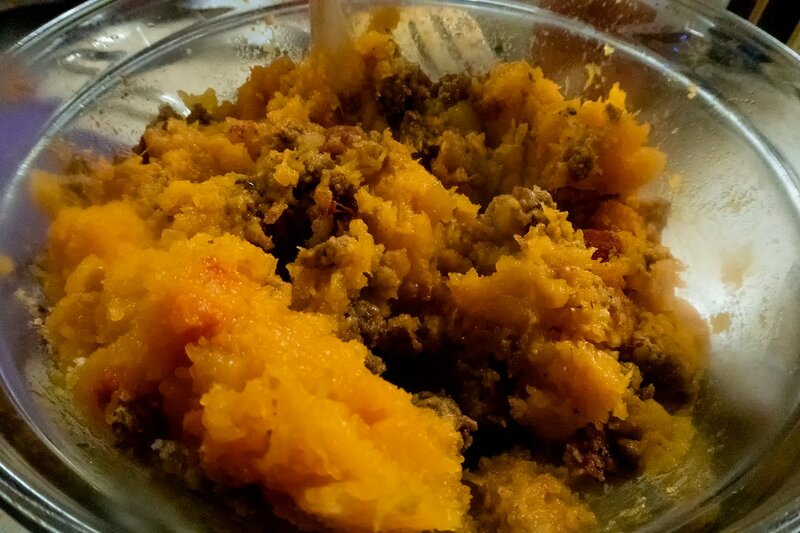 I gave it a good mix and scooped it all back into the skins.